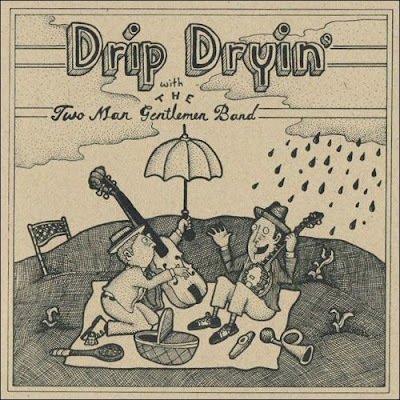 The Two Man Gentleman Band is by far and away one of my favorite things. More than raindrops on roses! I feel EVERYONE should be listening to them and I am SHOCKED, simply shocked that they are not featured in some nifty commercial so everyone will hear them. 1. There are so few places one can find TWO gentlemen on one place and the gentlemanly arts seem to be on the wane. Here's to their revival! 2. Guitars and drums are so passé. We need to hear more bands featuring banjos and kazoos. 3. They wear hats. I love a man in a hat! 4. They write about food...OK maybe it's not about food and that, in and of itself, makes them the best double-entendre band around. You have to go way back to the 1930's to find such fulfilling food songs. 5. They are witty. Not funny, witty (in that Cole Porter, Stephin Merritt vein of wittyness) and they make me smile and in today's world there is really no more to be said. So here's to the two-man resurrection or invention of nouveau--vaudeville. Go, right now, and buy a CD. Seriously, buy a CD or send them a dollar! Check out their blog at Dear Internet. Click and listen to my favorite Two Man Gentleman Band Song from their CD, Heavy Petting . The next time you run across the two gentleman, give them a doff of the hat and a dollar...each.